Our mission is to provide premium hardscape and landscape installations and quality customer service to the residential community. Our goal is to enhance your outdoor living space in a way that aligns with your creative vision. We have a passion for turning our client’s dreams into reality. While paver patios, retaining walls, outdoor kitchens, walkways and driveways and natural stone materials are our primary scope of work, we do many landscape, drainage, mulch, and lighting installations. All work done by the YardFathers Landscaping is guaranteed. If we can’t do what a client requests in complete confidence and with a guarantee, we will refer to another trusted and vetted company. Quality work and service is our main priority but we also believe strongly in completing our work in a timeframe that’s beneficial for our clients. That’s huge reason why we only hire highly skilled and dedicated tradesman to work on our crews. Our mission is our guarantee. Nick is a native Ashevillian with extensive experience in hardscape and landscape construction. 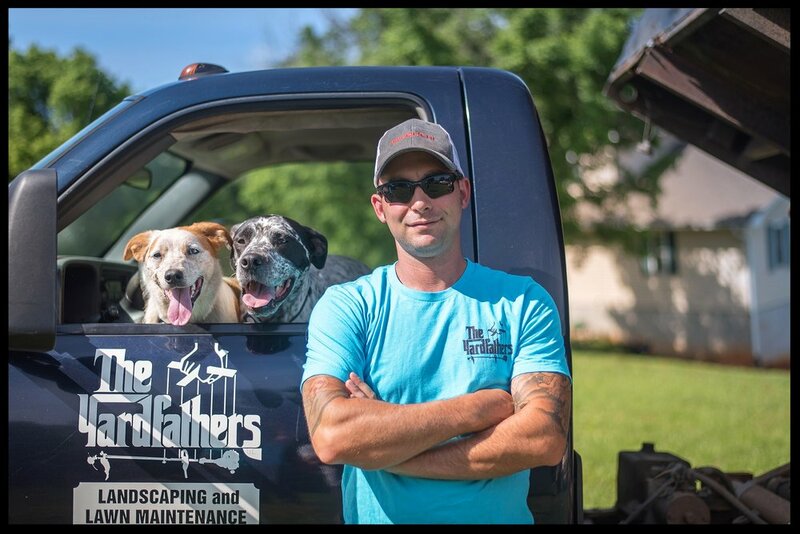 Since starting The YardFathers in 2013 as primarily a lawn maintenance business, Nick has strived to obtain the ability to offer his true passion, landscape construction. Ditching the maintenance services in 2015 he has since built a business focusing strictly on hardscape and landscape installations. While continuing to acquire certifications and licensures in the field Nick is always focused on the future and expanding his knowledge and creativity. Nick is married to a beautiful woman who is also an entrepreneur, has two gorgeous young children, and two handsome young pups. He spends most of his free time making memories with his family. 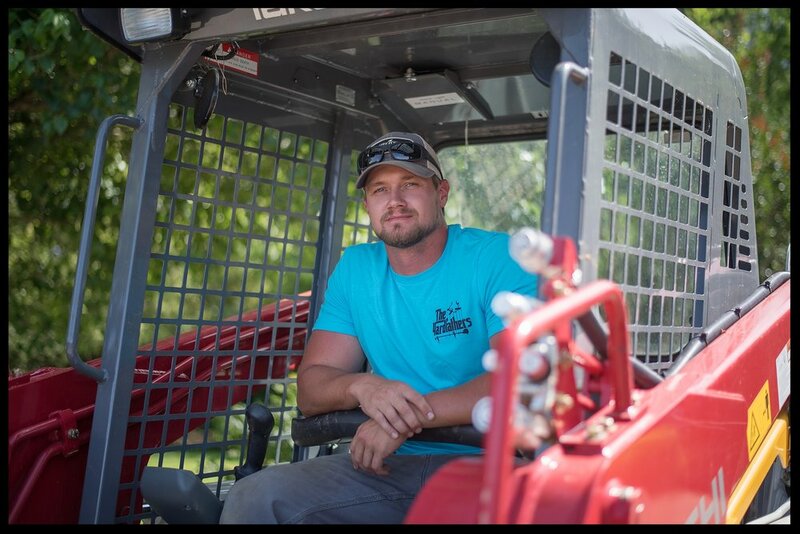 Joey moved to Asheville in 2016 and shortly after began his employment with the YardFathers Landscaping. He started out as standard crew member on the installation crew. With his ambition for perfection and ability to learn, he soon became one of the YardFathers greatest assets. He has since become the foreman of the installation crew, and the YardFathers highest skilled crew member. We are grateful to have such a skilled tradesman as part of our team. Joey continues to further his education and skill in the hardscape department. He joins Nick and other crew members to attend educational classes and demonstrations to obtain certifications throughout the year. On his off time Joey continues to explore the beautiful city of Asheville. Hank is a native to Leicester, NC. Born with 8 brothers and sisters Hank has always been the first to greet anyone and anything he sees. Hank has been working with Nick and The YardFathers since he was 6 weeks old. 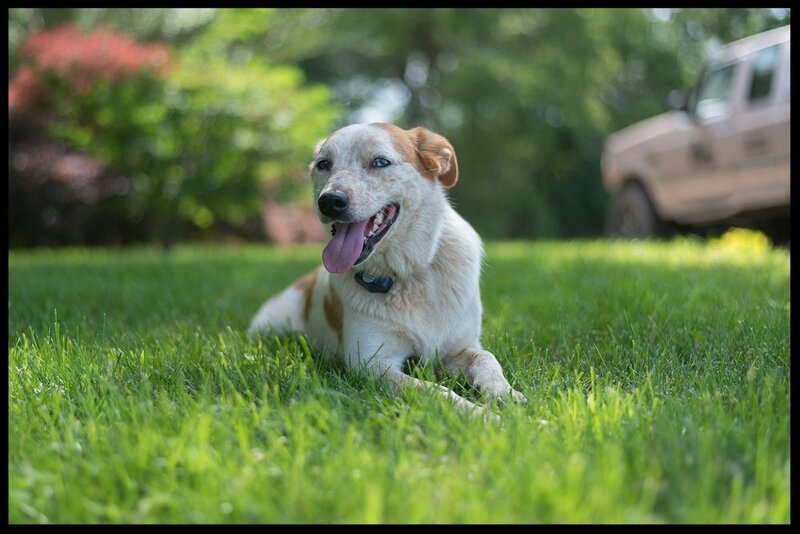 As the YardFathers most loyal and trusted employee, Hank has never missed a day of work…that he wanted to. He is usually the owner's, employee's, and client’s favorite member on The YardFathers crew. Hank enjoys catching Frisbee or anything thrown, people, dogs, riding in cars, work, and most things in life. He is most likely the world’s greatest dog. PSA: If you don’t like dogs he can stay home he has a brother he loves to play with. The Yardfathers are fully licenced and insured.